John Sisson Contracting pride ourselves on the production of excellent affordable industrial steel buildings. We have worked on a wide variety of steel framed buildings for commercial and industrial purposes, from small office buildings to large scale factories with integrated offices. We will assist you throughout the entire process, from detailed structural designs through to help with building regulations and planning permission. 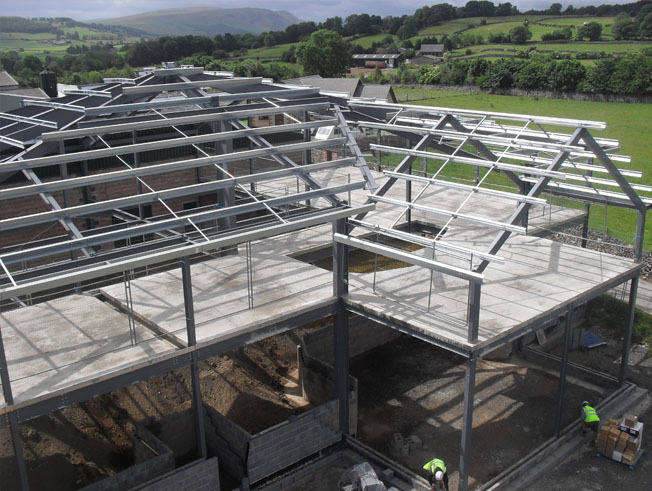 It is an advantage that we fabricate our steel in-house in our workshop near Carlisle . We specialise in the design and supply of any size industrial units of any length with pitched roof spans eaves height. The flexibility of design allows for future expansion whether by the need to add additional bays increasing the length of the building, or adding another building to the side. For a quick quote please fill in our brief online form or give us a call on 01228577180. 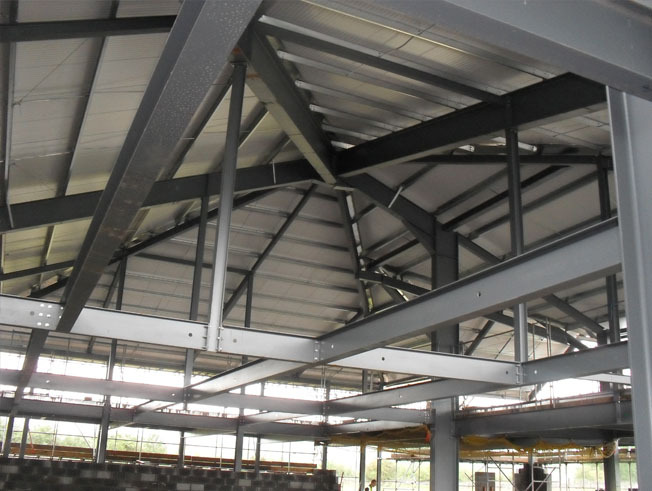 When building a quality steel structure they are constructed in two portal sections. These sections are made up of two posts and two rafters which are joined by the steel portal frame itself. These two sections are then joined by attaching purlins horizontally between them. The portal frame method creates very strong, safe and durable buildings that are reliable. Relatively speaking, they are inexpensive which means you get top-quality results at superb value. Design flexibility allows for expansion in the future whether by the need to add additional bays increasing the length of the building, or adding another building to the side. The final result of the buildings we create and how they are constructed is that you get superior results. 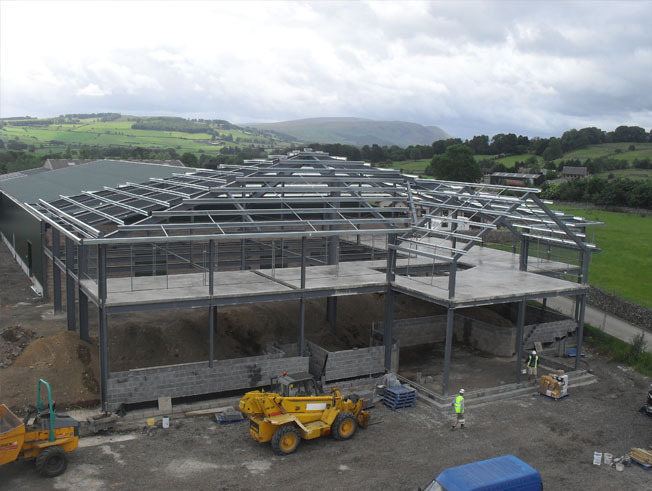 All JSC steel buildings are engineered to the BS1090 standards with full structural calculations included for building control at no extra cost. Additionally, all the steel framed buildings we produce carry official CE marks. The cladding we use includes insulated panels to fully comply with Industrial Fire Regulations and Boundary Fire Conditions. John Sisson Contracting steel buildings are quick to build, extremely strong and pleasing to the eye. We offer all these benefits to our customers along with a professional design service so you receive the building you need. When it comes to the overall finish of your building, with John Sisson Contracting's wide variety of cladding solutions, personnel access doors and roller shutter doors we are able to meet your specific requirements. John Sisson Contracting utilising the latest rolling and laser technology we are able to supply a bespoke precision designed and manufactured portal frame, with door and window openings to suit your individual requirements, allowing for maximisation of space to meet the everyday requirements of your operation. When required our engineers can take full account of wind and snow load factors applicable to site location and elevation. 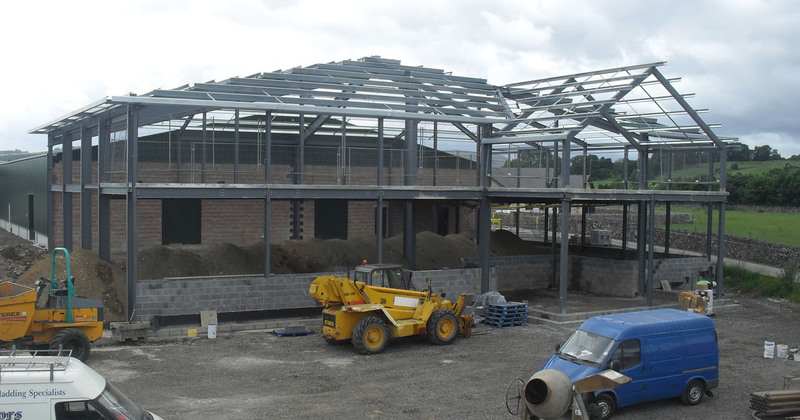 John Sisson Contracting designs, builds and supplies bespoke steel-framed buildings as individual as our clients, to farming and industry and has done for over 18 years.